Power up your child's imagination and creativity with the Design & Drill Activity Center. 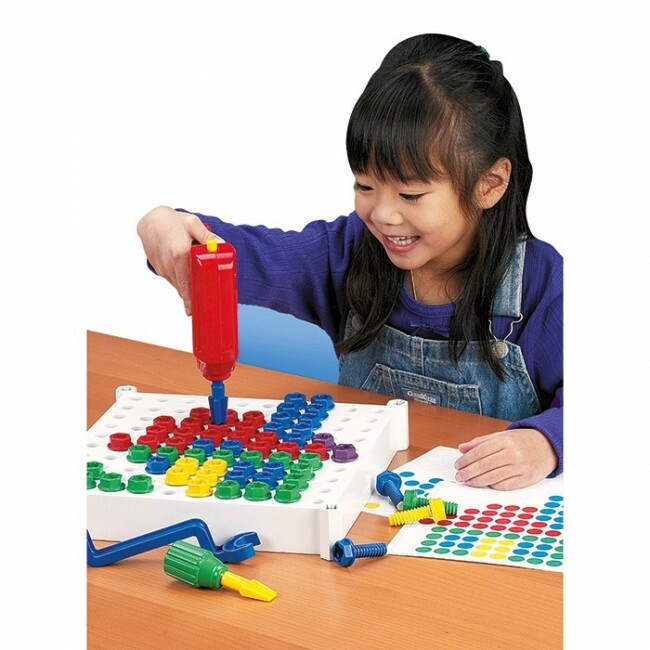 This activity center from Educational Insights is equipped with plastic chunky bolts, reversible power drill with 3 drill bits, screwdriver and combination wrench. Your children will love to create their own designs, or following the set's colorful activity cards to make pictures and patterns--from trains and boats to flowers and fish. Just snap any of the drill bits into the power drill or the screwdriver handle, grab a handful of bolts, and turn on the learning fun. - Features 20 Activity Cards with design ideas children can follow for an additional color-matching challenge.